Guests continue to boast about the beautiful and comfortable accommodations at the Belle View Inn. We take great pride in our Inn and look forward to your visit with us! Please feel free to call us with any questions at (401) 849-8211. Lovely unit overlooking Freebody Park, nicely appointed with period pieces and with a separate entrance. Spacious living quarters with availability for up to 6 guests. This unit has a private bathroom with shower, queen master bed, queen sofa and twin beds in a separate bedroom. Unit has AC, cable TV and WiFi and the use of our outside landscaped grounds for your enjoyment and relaxation. Just a short walk to the waterfront, downtown restaurants and shops, the Cliff Walk, Newport Beach, the mansions on Bellevue Avenue, including the former summer homes of the Astor and Vanderbilt families and all that Newport Rhode Island offers. Our Inn offers on-site parking for our guests and the lovely landscaped grounds for your enjoyment and relaxation. Located on the second floor of the Inn and overlooking the legendary grass courts of the International Tennis Hall of Fame. The unit has a private bedroom with a queen bed and TV, a sitting room for relaxing with a TV, 1 queen size sofa bed, and the use of our landscaped outside yard area with grille. 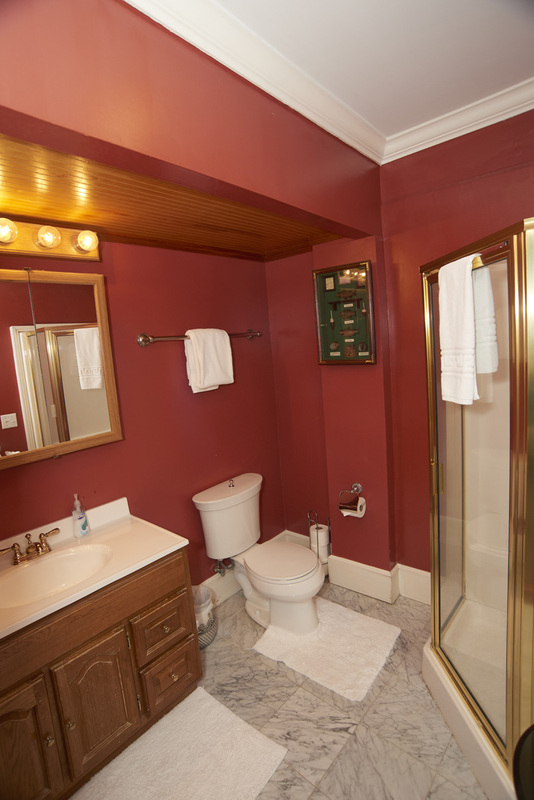 The unit has a private bathroom with shower, AC, cable TV and WiFi. Just a short walk to the waterfront, downtown restaurants and shops, the Cliff Walk, Newport Beach, the mansions on Bellevue Avenue, including the former summer homes of the Astor and Vanderbilt families and all that Newport Rhode Island offers. Our Inn offers on-site parking for our guests and the lovely landscaped grounds for your enjoyment and relaxation. The Astor Suite has its own separate entrance from the parking area. Located on the first floor of the Inn, it has one private bathroom with shower, 2 queen beds and cable TV, AC, WiFi and the use of our landscaped outside yard area with grille. Just a short walk to the waterfront, downtown restaurants and shops, the Cliff Walk, Newport Beach, the mansions on Bellevue Avenue, including the former summer homes of the Astor and Vanderbilt families and all that Newport Rhode Island offers. Our Inn offers on-site parking for our guests and the lovely landscaped grounds for your enjoyment and relaxation. Check-in between 3 p.m.and 7 p.m., check-out is 11 a.m.
Late Check-ins may be arranged if necessary. Cancellations or any changes to your reservations must be made 30 days in advance of your check-in date. No refunds for cancellations made less than 30 days before the arrival date unless we are able to rent the room at no loss to the inn. No refunds for early departure. A deposit of one-half of the reservation amount is required to confirm a reservation. Remaining balance of your stay required upon check-in. 13% Rhode Island and Newport room tax is added to all stays. Room changes and cancellations cannot be processed other than over the telephone.